RENO, NV APRIL 13, 2011 Torchmate Racing had drivers at every aspect of the country last weekend. 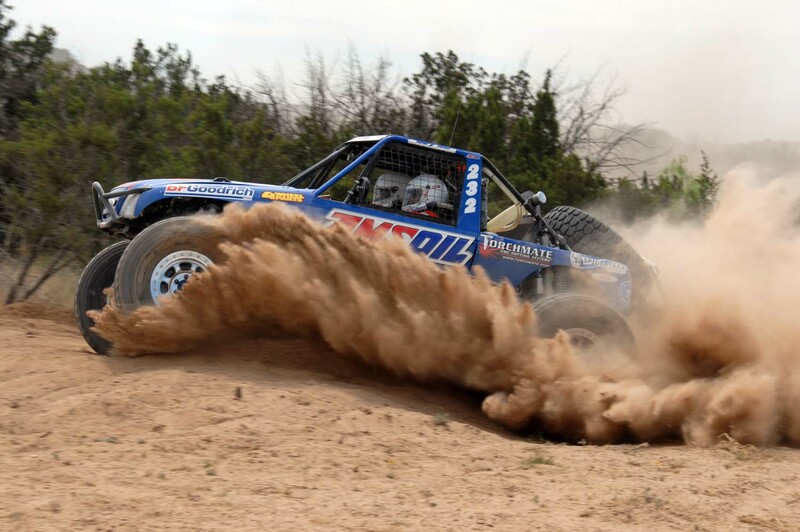 In Texas, Brad Lovell made history taking the Overall Win at the BRT Blackwelll 250 Desert Race in an Ultra4 car. Rock Crawler Jesse Haines took the Unlimited Class win at the Cal-Neva Extreme event in Reno, NV successfully completing every bonus line. 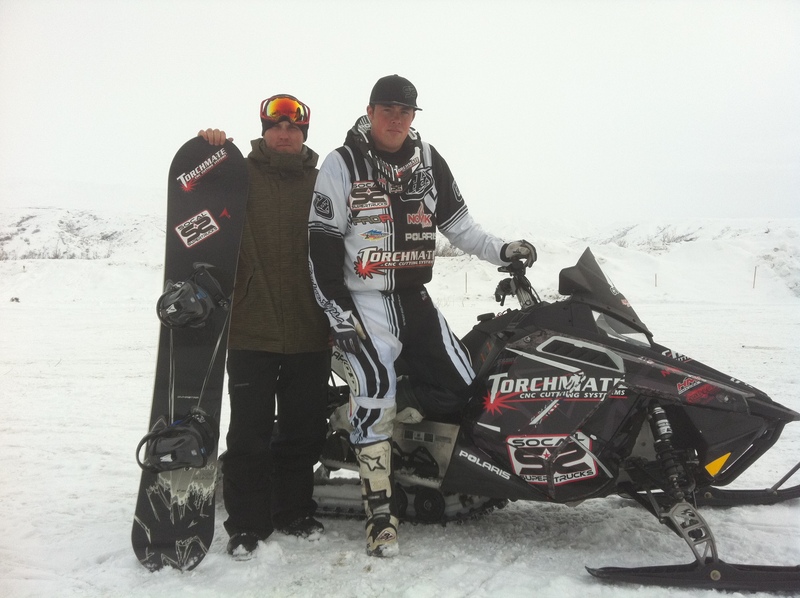 In Alaska, Torchmate Racing Tyler Thomas and Matt Shrive raced in the 2011 Arctic Man where their hopes of leaving with the win got cut short when Shrive crashed at speeds over 50mph on his snowboard. Brad Lovell: While the Trophy Trucks and Class 1 cars started at the front of the pack, Brad Lovell drew the last starting position of the Ultra 4’s with nothing to lose and a lot of dust to fight. “Our plan was to hold a strong pace and never stop,” commented Brad. “The dust was bad but we stayed patient. The engine went sour right off the start but hung in there.” As the laps ticked away, Lovell climbed to the front of the Ultra 4 class before facing fuel issues. “We had problems in the fuel cell and had to stop for fuel every 20 miles. It kept getting worse and we were barely able to make left turns without starving the engine.” While the pit crew made preparations to fix the problem, the decision was made to take a gamble and keep moving at all costs. The team played their cards right and the truck lost all fuel supply 50-feet after crossing the finish line. While the team did have difficulties in the race, they proved just how competitive an Ultra4 can be in the desert. Ultra 4 racers can do.” The victory was the team’s first in nearly a year and gives the #232 AMSOIL Torchmate Ranger wins in rockcrawling, rock racing, hill climbing, and now desert racing. Tyler Thomas & Matt Shrive: A combination of downhill snowboarding and snowmobiling, Arctic Man is a 5.5 mile race that only takes 4.5 minutes to complete. Matt Shrive, X-Games and World Cup snowboarder, started at the top of the 5,800ft mountain and dropped 1,700ft within two miles into a canyon. When Shrive hit the canyon, Tyler Thomas successfully got the handle to him on his Polaris RUSH 600 and they quickly maintained speed. “It is the most physically demanding thing I have ever done,” said Shrive. “Crossing the rooster tail of the sled was gnarly and getting hit by ice at speed while trying to hang on was a huge challenge.” Their high hopes of leaving with the win and a finish got cut short when Shrive crashed at speeds over 50mph on his snowboard. “I am ok, but it completely knocked the wind out of me,” recalls Shrive. “I was trying to help the snowmobile in the turn and when I crossed the rooster tail I got sucked in and thrown down.” Luckily Thomas looked back and immediately stopped to help get his teammate up in attempt at a finish. The unfortunate turn of events gives the team even more motivation to come back in 2012. Both Thomas and Shrive agree that this competition was among the top level of intensity, and not only physically demanding but mentally as well.